Using SAP UI for everyday tasks is tedious especially when ERP system should help you. We have a customer (Kärkkäinen) that wanted to make item and warehouse management easier for shop personnel. Thus we developed an add on portal for warehouse logistics. This particular customer sells a lot of different items. Kärkkäinen sells everything else but day to day commodities. As a result of this they have well over a million different items. In addition they have five stores, big ones in Ylivieska and Lahti plus three smaller ones around Finland. 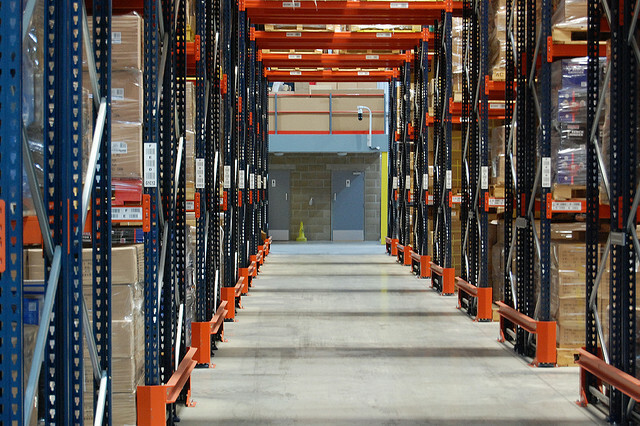 To manage just the logistics and warehousing they need a sophisticated ERP system. SAP was their preferred choice. SAP does the job, however it is not the mos straightforward to use. Well, in my mind easy to use ERPs are fairly scarce. The persons responsible of their own department need minuscule set of items to work with to perform their jobs well. Working with the full set of items can get pretty frustrating quite quickly. And SAP UI doesn’t necessarily help you with your work. ERP systems need to handle ‘every situation’ which leads to over complicated user interface and processes. The solution to their problem was quite simple, simplify the item management. The set of features used in everyday tasks is limited. If you are able to see product / item information, see the stock levels of items in your department, handle complaints, make sales orders and create customers you should manage pretty well. You don’t have to be able to create an item, since they are not created in the departments. Doing the ‘limited functionality’ portal for each store and department is quite easy and straightforward. If you understand how the people work in those departments. Integration with SAP isn’t. We used SAP’s SOAP APIs integrating to the system with SAP PI. This was the most time consuming an difficult part of the project. Is there a point for having an additional software integrated to SAP? Yes, if your have a lot of items and they are utilized and maintained in several places. Streamlining the everyday process gives small aggregated savings that pay the investment to extra software very quickly back. The people working in the departments are happier too. If you want to find out more about this solution, please contact us.